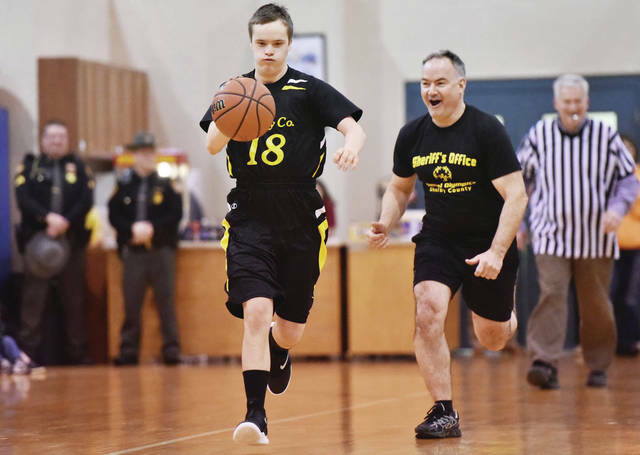 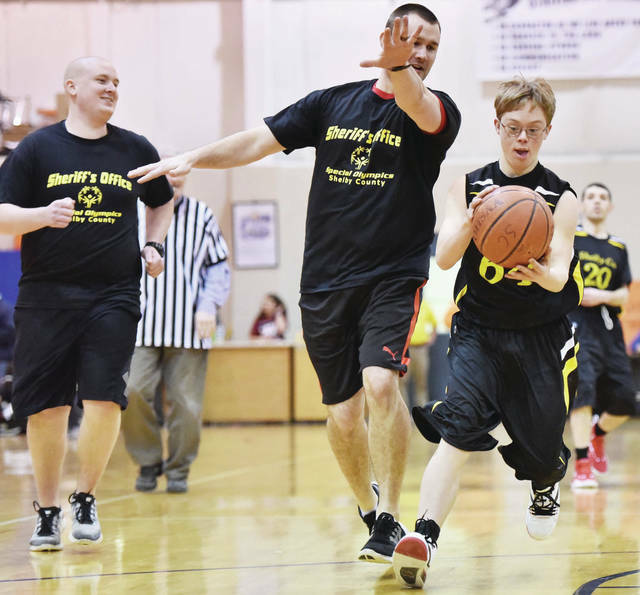 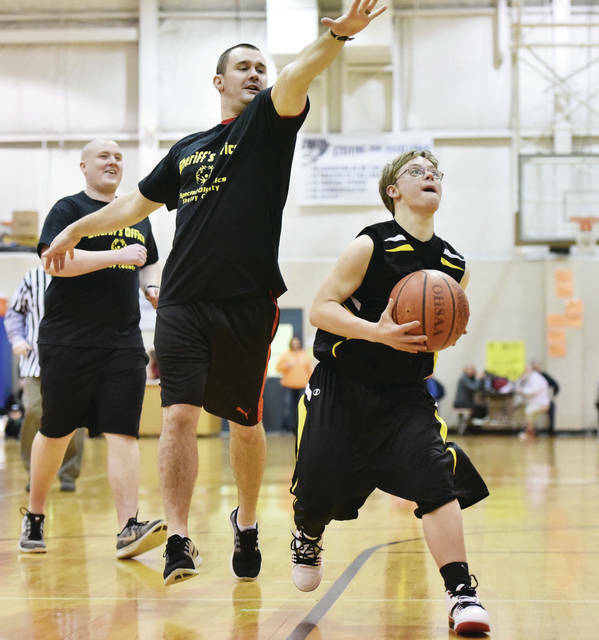 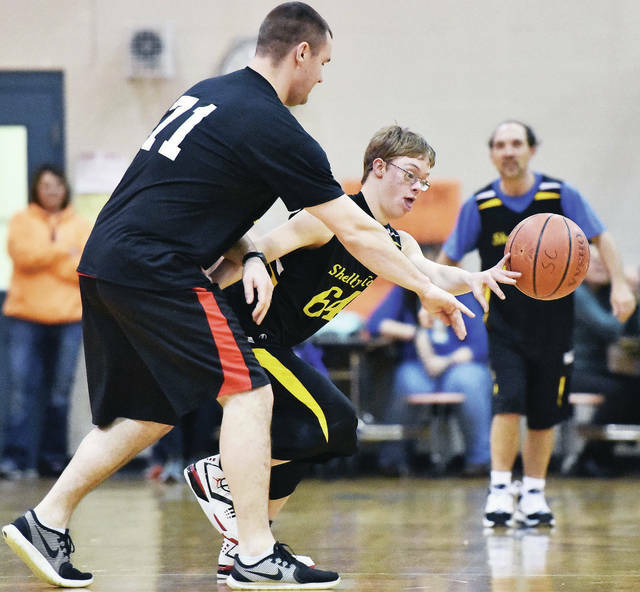 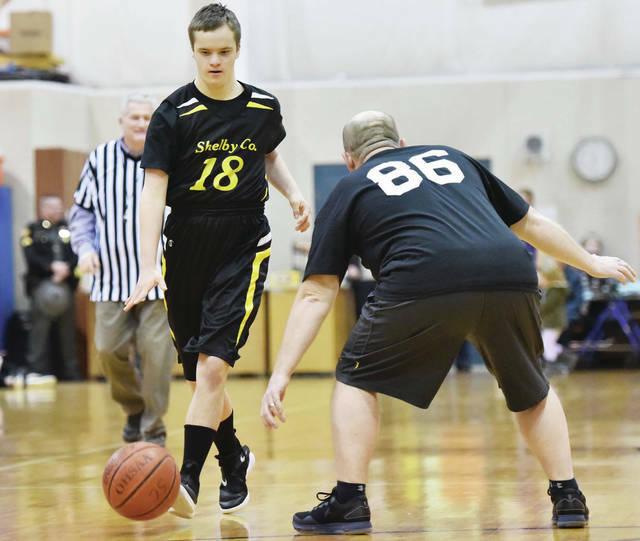 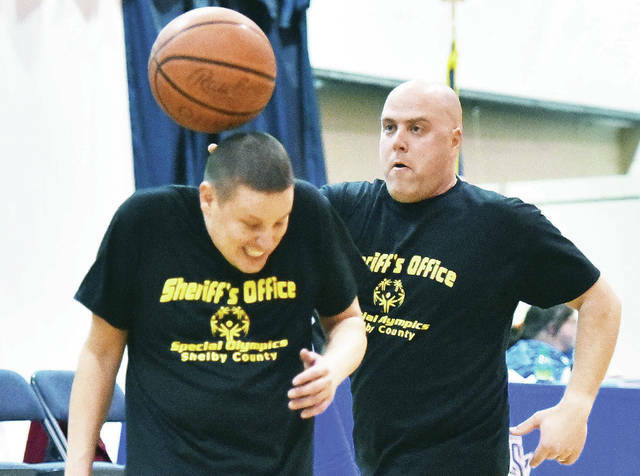 Shelby County Special Olympics basketball player Glen Shulze, right, of Russia, steals the ball from Shelby County Sheriff Deputy Matt Luthman during a basketball game Wednesday night at Christian Academy Schools. 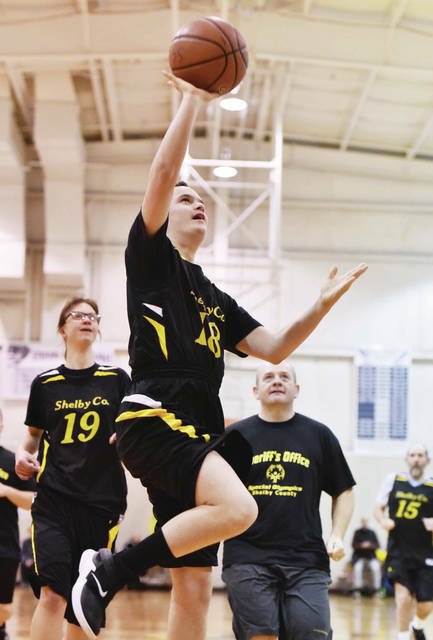 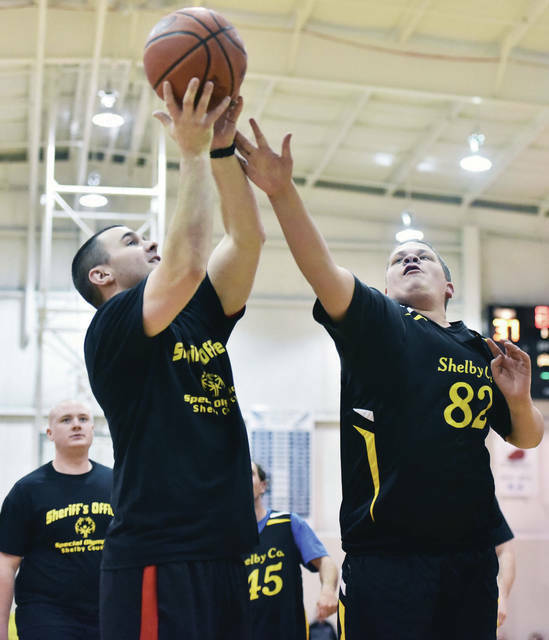 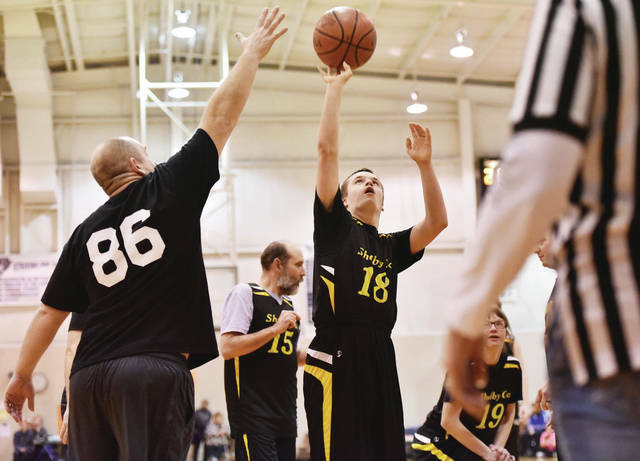 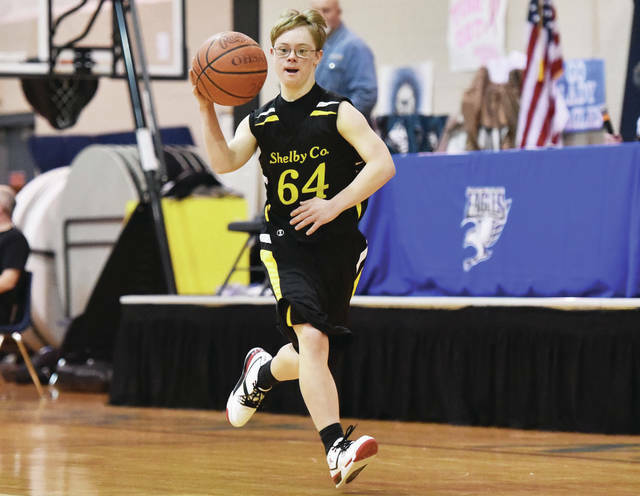 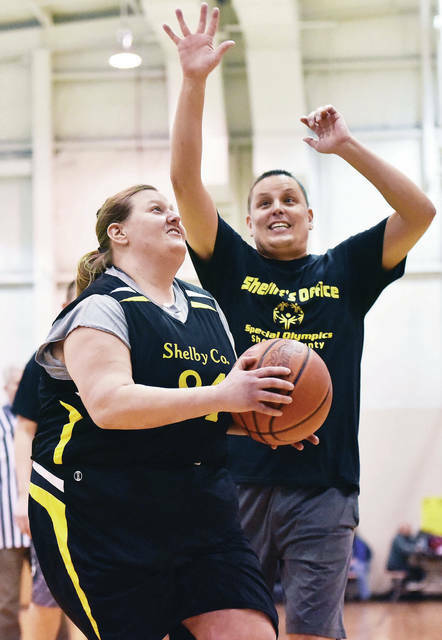 The Shelby County Special Olympics basketball teams challenged the Shelby County Sheriff’s Office to a game. 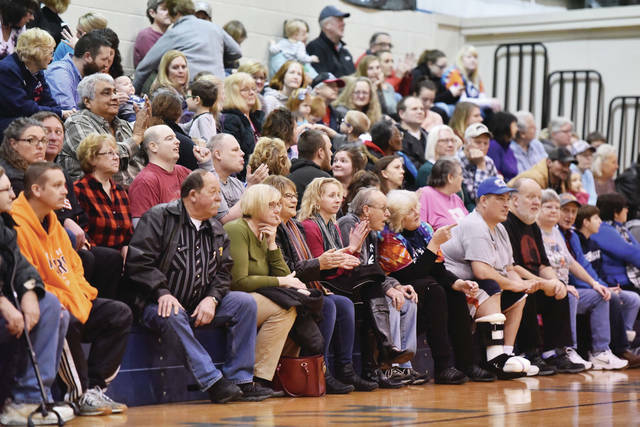 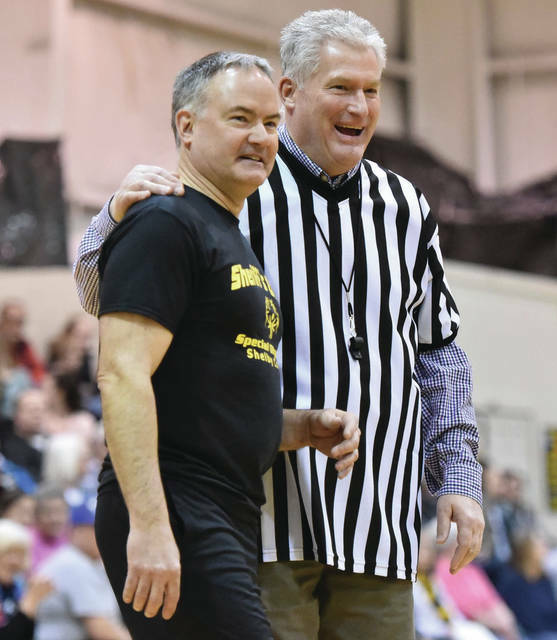 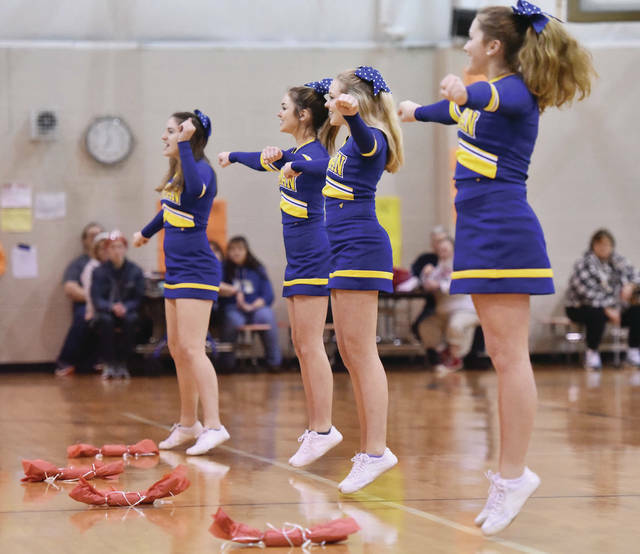 Lehman Catholic cheerleaders kept the crowd pumped as Shelby County Sheriff John Lenhart and Shelby County Commissioners Julie Ehemann and Tony Bornhorst officiated the game. 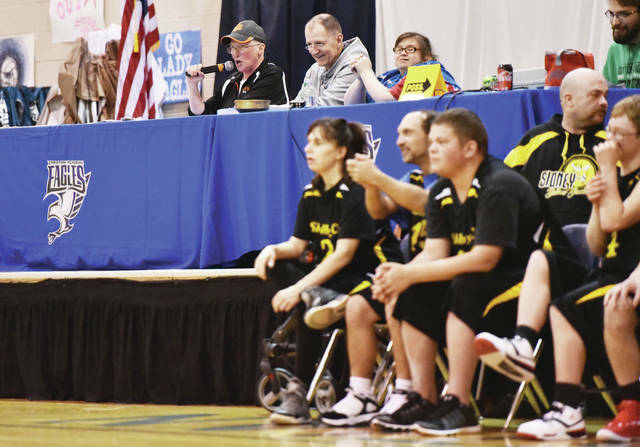 Jackson Center volleyball head coach Kim Metz was the announcer. 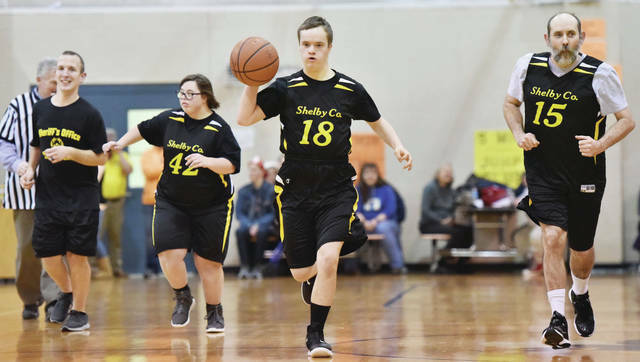 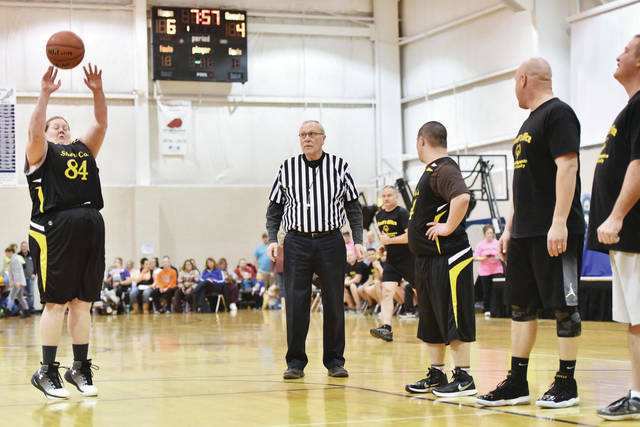 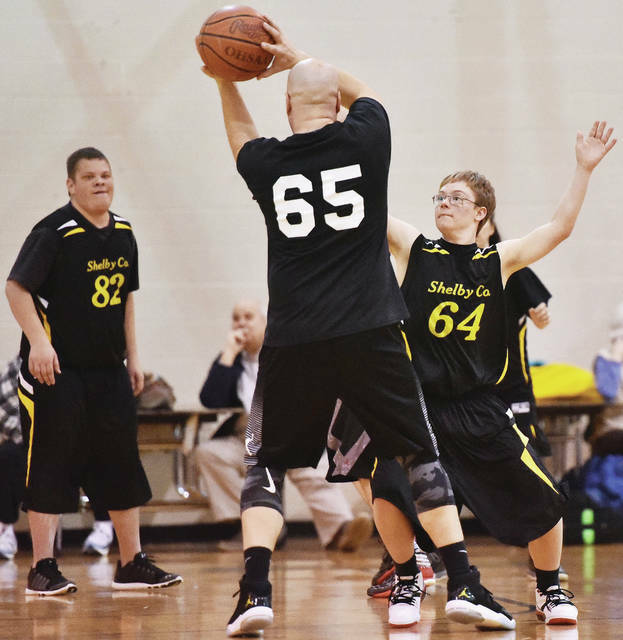 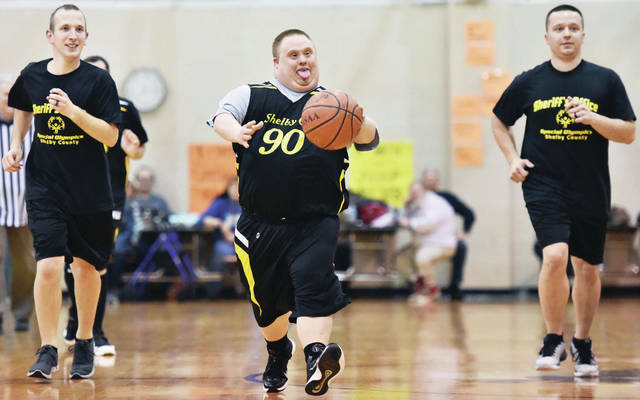 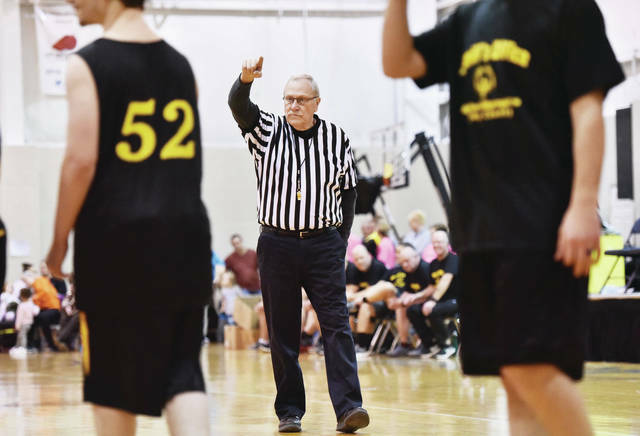 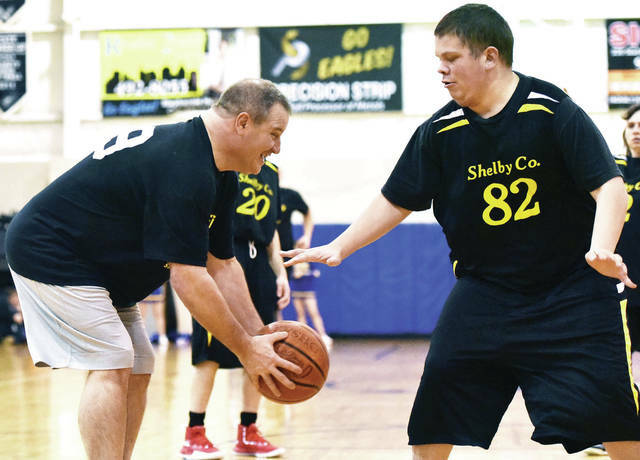 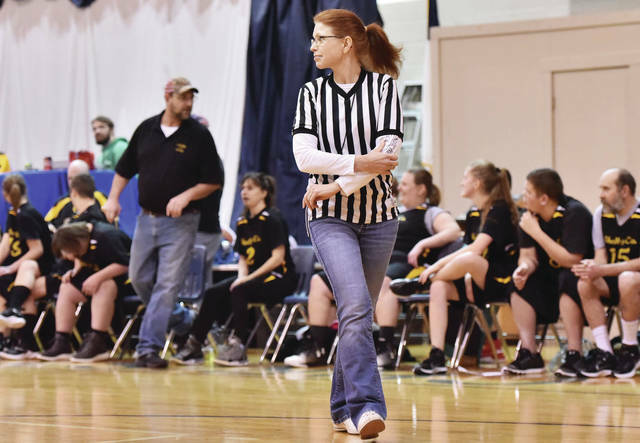 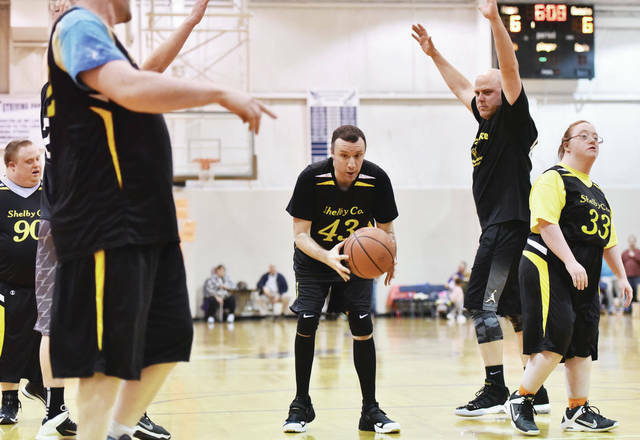 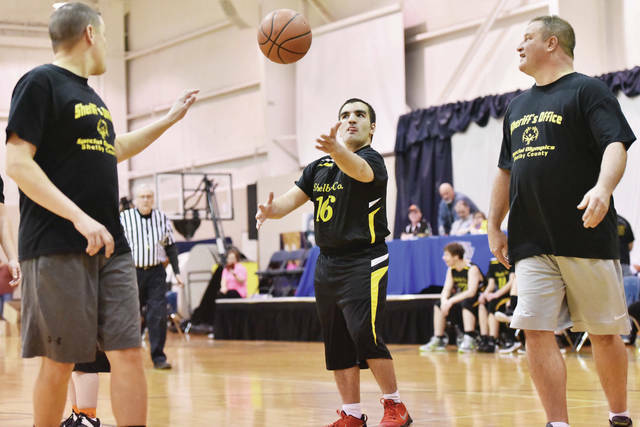 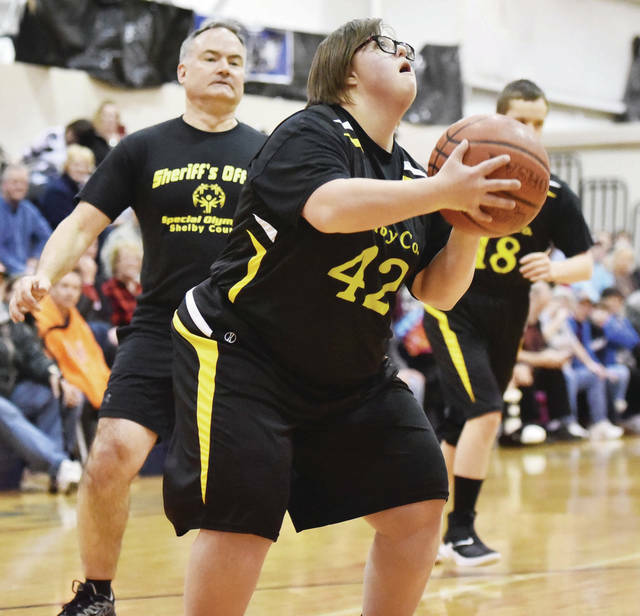 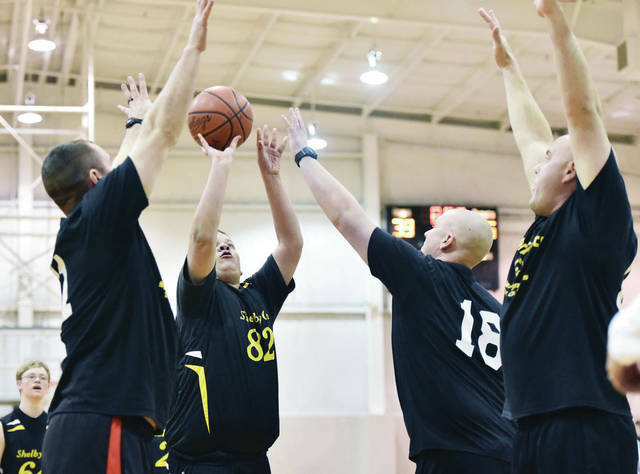 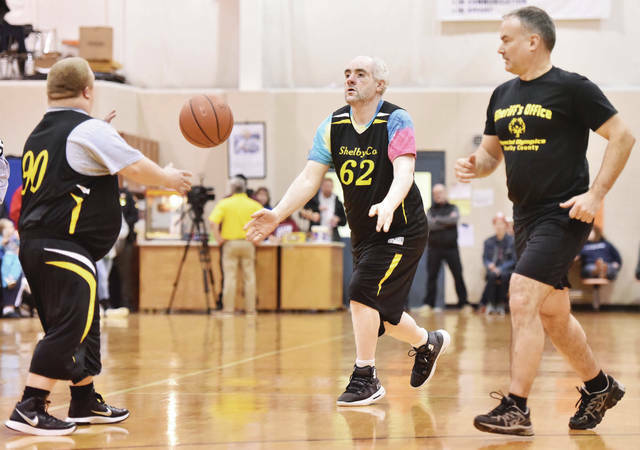 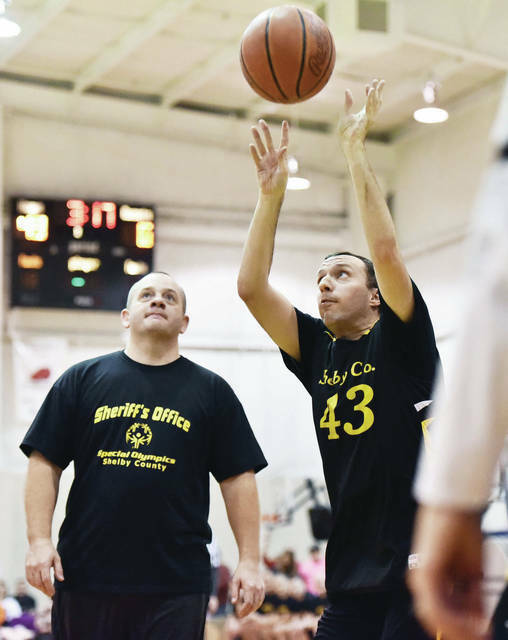 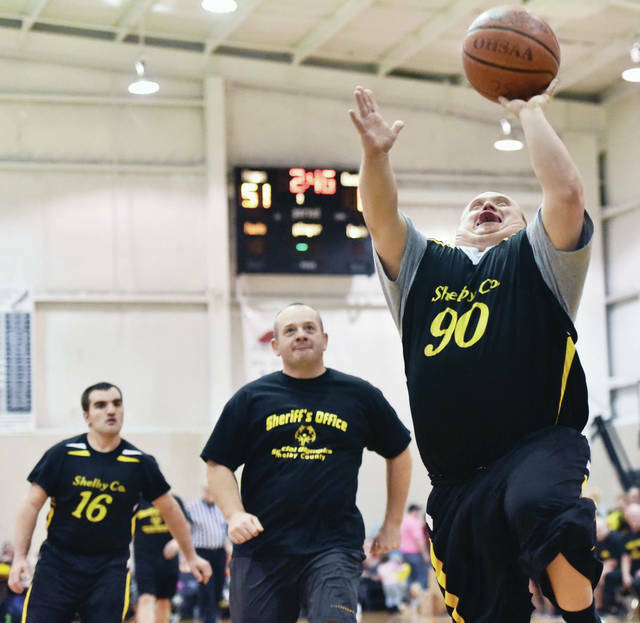 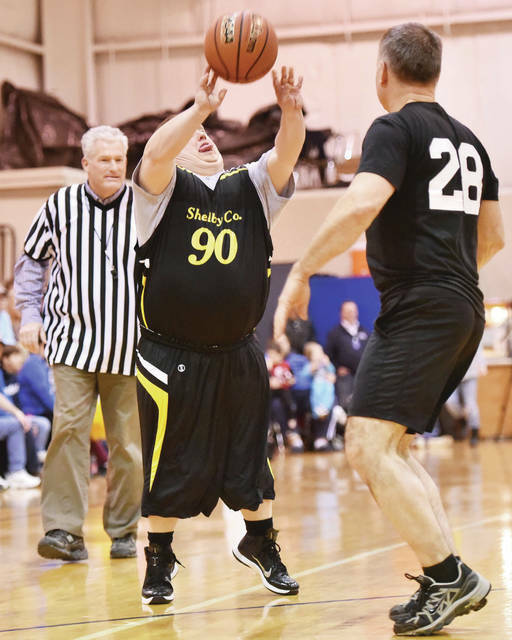 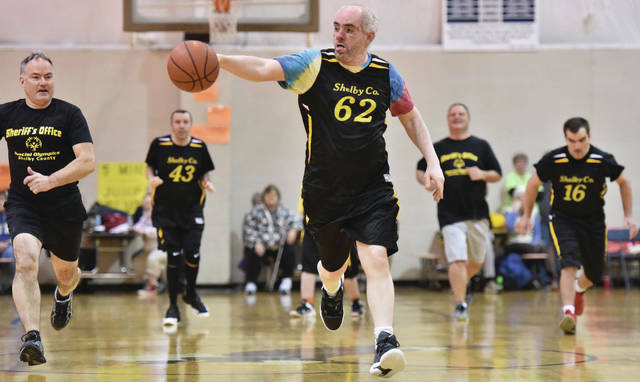 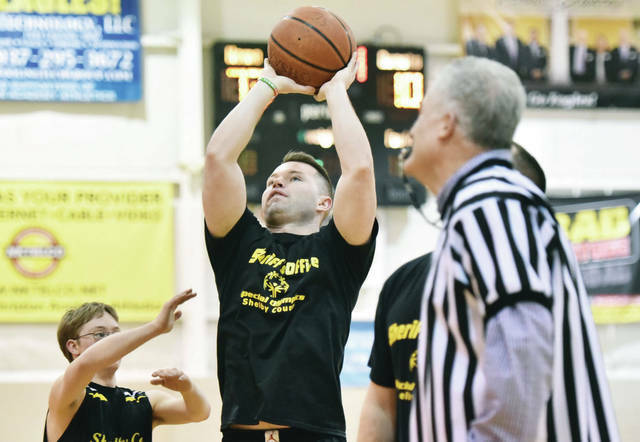 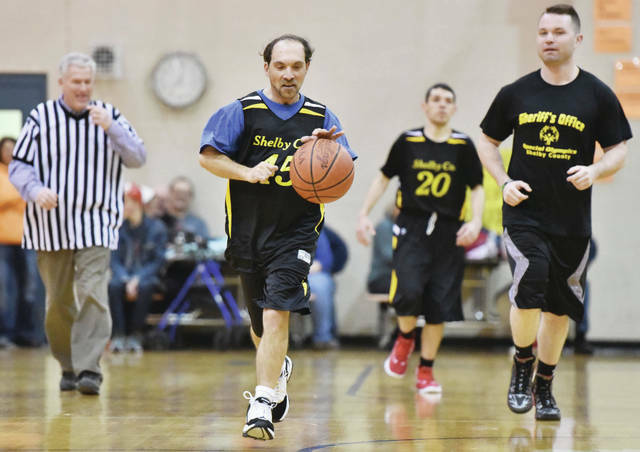 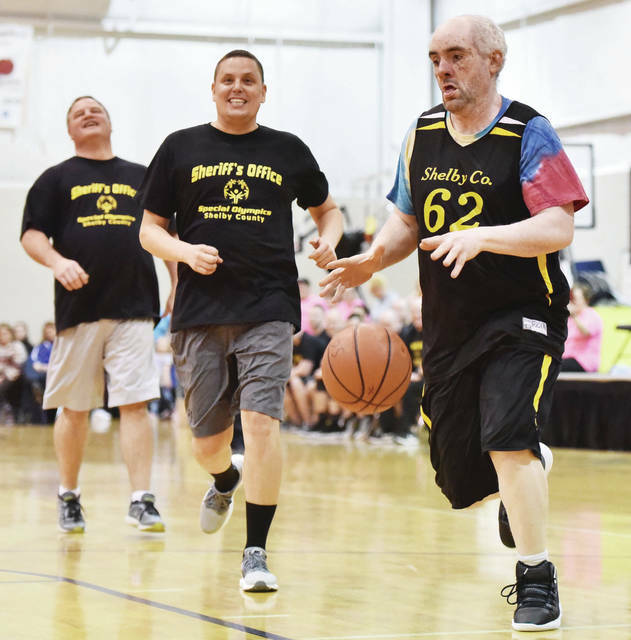 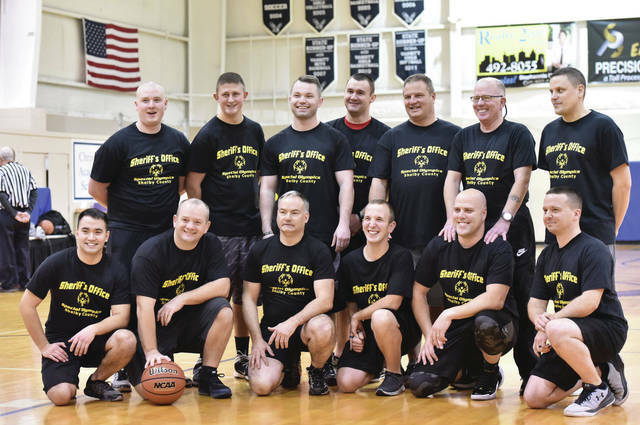 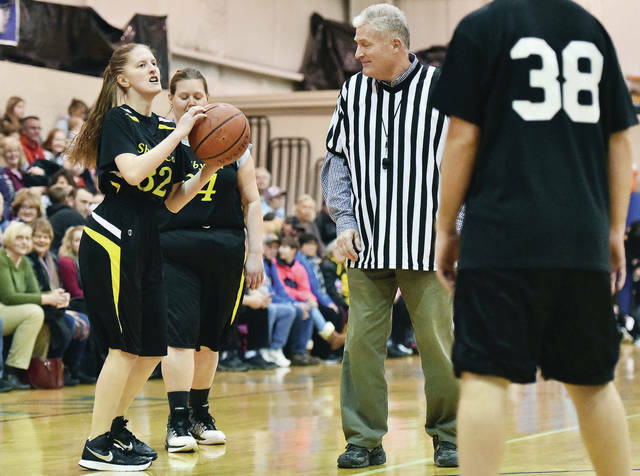 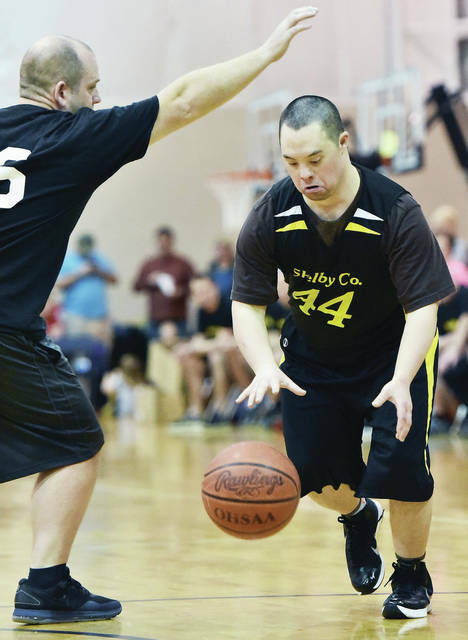 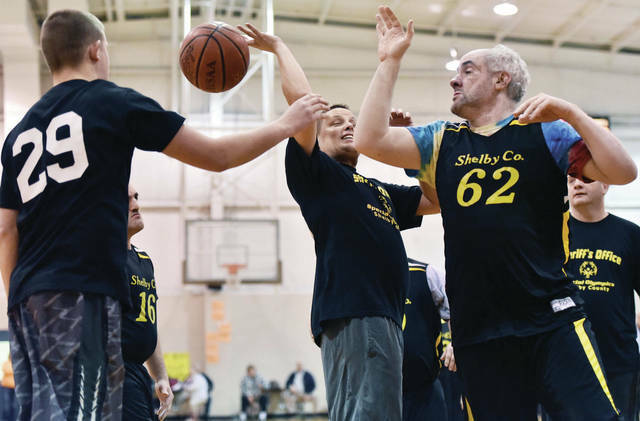 The Shelby County Special Olympics players made short work of the Shelby County Sheriff’s Office despite some strong hustle from the deputies.